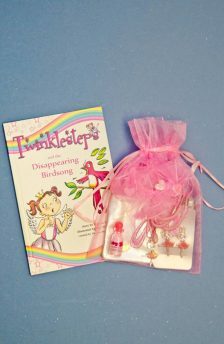 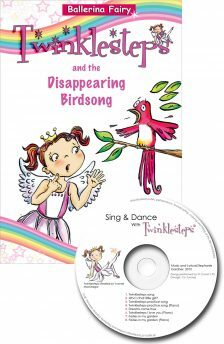 Twinklesteps' first ballet adventure book — introductory offer: Twinklesteps and the Disappearing Birdsong book and a little bottle of pink fairy dust in organza bag. 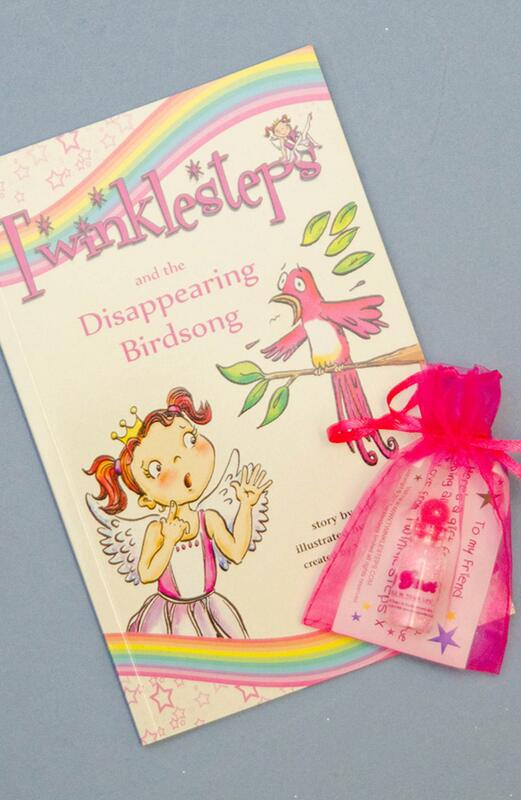 Join Twinklesteps in her adventure to get the birds their song back from the growling goblin. 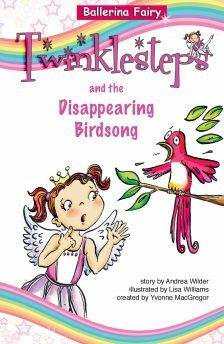 Learn some basic ballet steps as Twinklesteps uses her dancing skills and fairy powers to defeat the goblin.